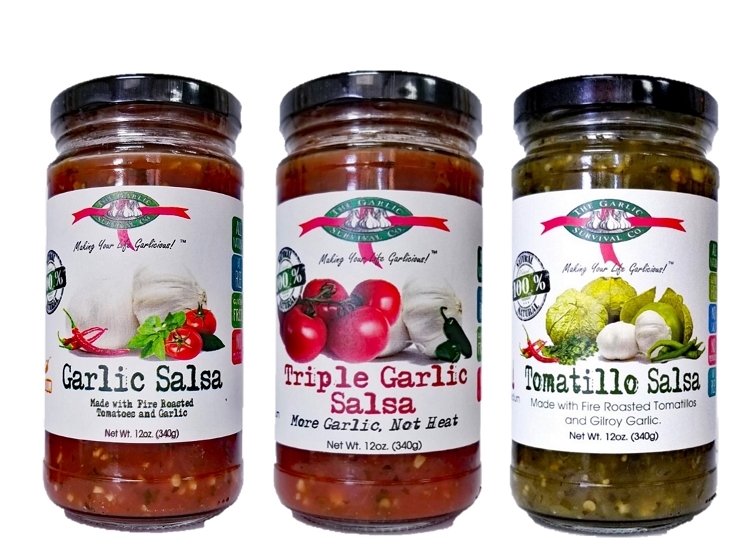 Garlic Survival Company's garlic salsa is the freshest jarred garlic salsa you can get! 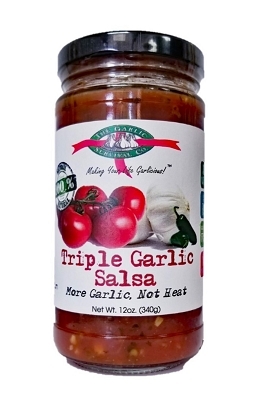 A perfect blend of tomatoes, fresh garlic, jalapeno peppers, onions, vinegar, parsley, celery, cilantro and spices. 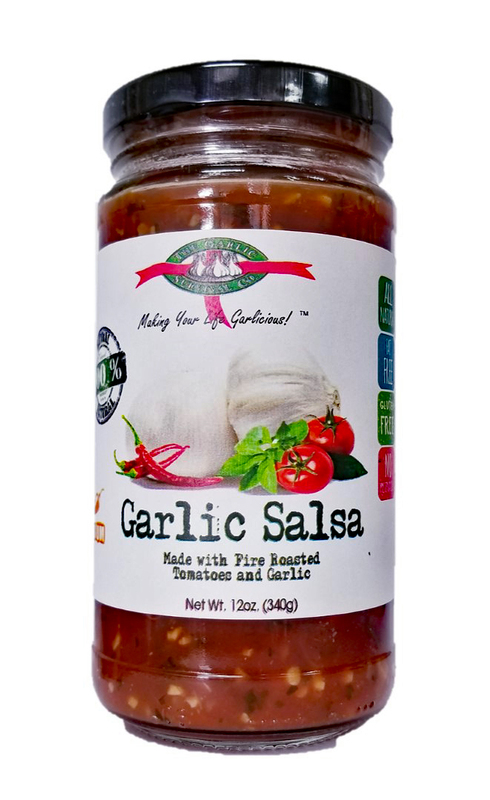 Delicious and fresh, this garlic salsa is a great appetizer or a wonderful compliment to any meal as a healthy side dish. It's an exciting enhancement to omelets, potato dishes, salads and marinades and of course a perfect dip for your favorite tortilla chips. Medium heat. Ingredients: Fresh Garlic, Jalapeno Peppers, Onions, Fire Roasted Tomatoes, Parsley, Vinegar, Celery, Cilantro & Spice.